s a former drug addict, Byron Klingbyle knows all too well the dangers of addiction. In recovery for close to 20 years, the 59-year-old now counsels others dealing with substance abuse. In his hometown of Windsor, Ont., the drugs of choice are opioids, such as oxycontin, morphine and fentanyl. But a new street drug, one so toxic it’s primarily used to sedate elephants, has him worried. He’s referring to carfentanil, a synthetic opioid so deadly police say as little as 20 micrograms would be fatal to the average person, with one microgram being smaller than a grain of salt. Carfentanil is more commonly used in zoos and by wildlife workers as a tranquilizer for elephants and other large animals. Parts of the U.S. have recently seen an alarming number of carfentanil overdoses. Ohio, for example, had 25 overdoses in just a three-day period in July. In many cases of overdose, the carfentanil has been mixed into heroin, at times without the drug user’s knowledge. 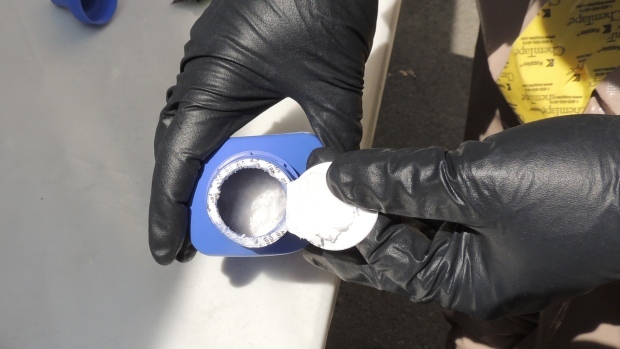 Police in East Liverpool, Ohio, said they suspect carfentanill was involved in the case of a couple who were photographed overdosing in their car and whose photos were posted online by police as a way of attracting attention to the drug problems officers are dealing with. “It wouldn’t surprise me at all to know that we got more and more bionic opioids responsible for mortality on our streets,” said Dr. Hakique Virani, medical director at Metro City Medical Clinic, an addiction treatment centre in Edmonton.